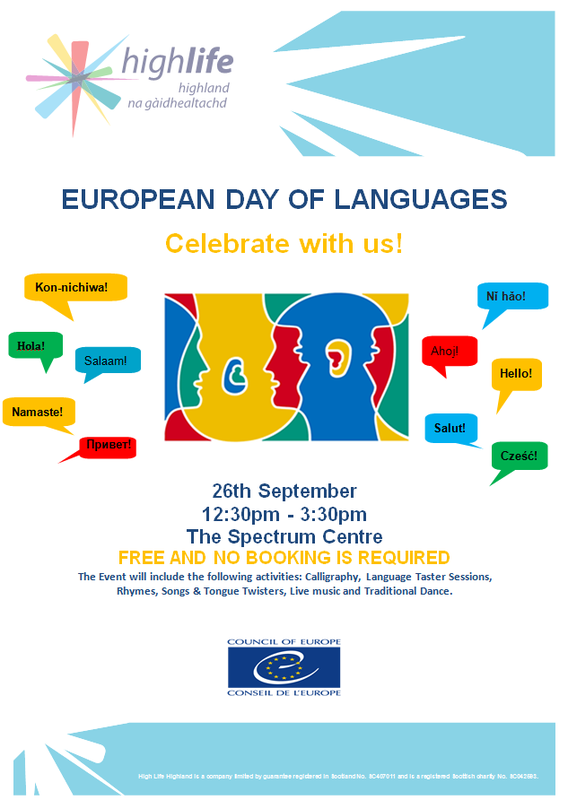 Adult Learning, Inverness, are hosting a celebratory event for the community to mark the European Day of Languages. The event is an opportunity to celebrate bilingualism, share your home language with others, learn some phrases in another language, and take part in activities such as song, rhyme, dance, traditional music, and traditional dress from across Europe and around the world! There will also be Bookbug sessions for babies and toddlers in English and other languages. The event is open to anyone of all ages and languages! This entry was posted in Uncategorized on September 16, 2015 by Mr Cook.